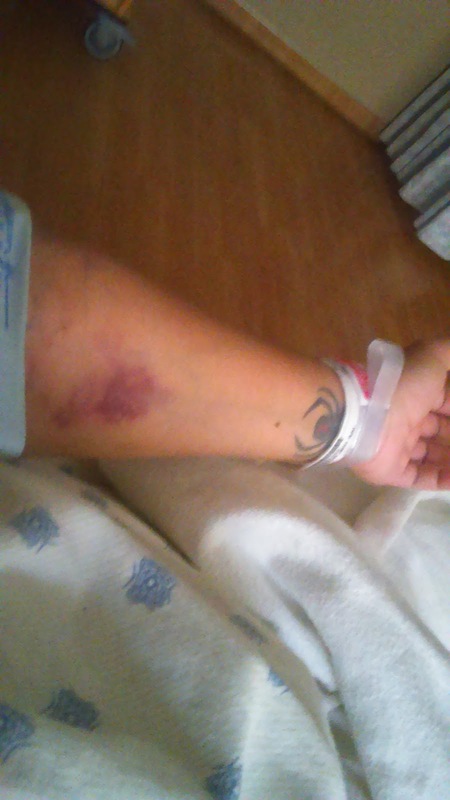 Look how awful my arm ended up after the blood pressure cup and several more needle pokes. Yes, I know it looks terrible, it felt pretty sore too. 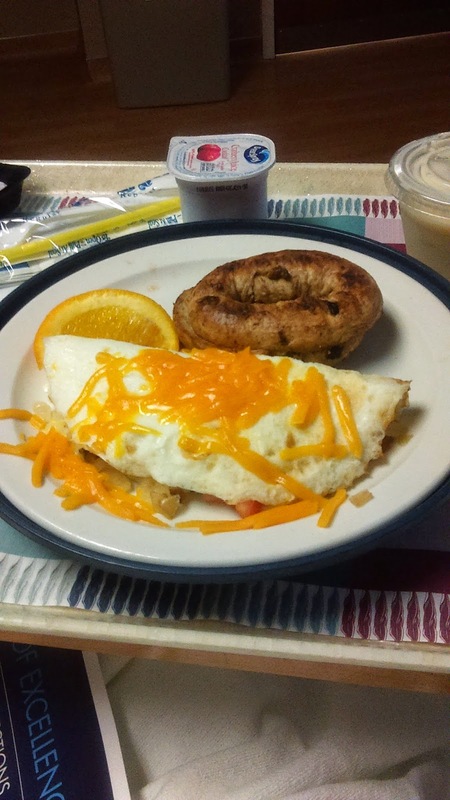 I was also starting to get a little too used to all of the hospital food. I'm not going to lie-I was enjoying ordering my own choice of vegetarian meals 3 or 4 times a day. Some of the food was actually pretty good. I was finally given the opportunity to walk around freely, well as freely as I could with my IV still hooked up to the pole. (Sorry I don't know the name of that thing) Catheter removal was not fun but I was happy it was gone. Very happy. I was not completely in the clear though. I was still having quite a few contractions, my head, back, and neck were throbbing so badly. I wasn't allowed to take a shower yet either. First time I've ever gone so long without one. I was feeling gross, in pain, exhausted and sad. I just wanted to go home, but I also wanted to make sure my baby was doing okay. I would listen to the sound of her heartbeat everyday and it made it a bit easier. My doctor visited me and told me I'd probably be there a little longer so that they could schedule in another sonogram and check her levels again. I met quite a few more nurses, some repeats, and some new. They were all the best. I even enjoyed the company of the wonderful housekeeping ladies. They made jokes and kept me smiling. I had a few more meds added to what I was already on. I was given another med to stop the contractions, an anti-nausea med, an allergy med and an anti-viral. The reason I was given the allergy med and anti-viral?